Yesterday, I posted the first part of a reply to Chris Daniel, Executive Director of the Richmond Center for Christian Study, who wrote an article titled The Origin of Life: Darwinism vs. Design. Here is part 2. 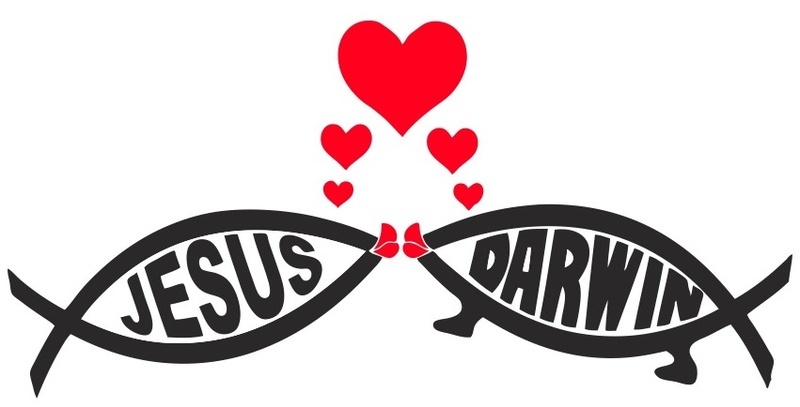 Chris, you are right to attack Darwinism as a philosophy or worldview; just like it is also appropriate to attack humanism, hedonism, racism, sexism, bibliolatry, and “systematic theology-ism”. Any system that builds its existence and definition around a created thing rather than the Person of God Himself ought to be attacked and shown to be the inadequate system it is. But just because those “isms” above shouldn’t define our worldviews, it does’t mean that there isn’t truth and goodness even in the the things they are tempted to define themselves by: humanity has worth, pleasure is good, races are beautiful, genders are different, the Bible is the primary revelation of God (we are not a people of the Book, but a people of the Word that is testified to by the Book), and systematic theology can be helpful as we interpret and apply the Scriptures. And Darwinism as a philosophy is an improper elevation of a seemingly true process. Just because something can have an explanation that involves an “intelligent designer” doesn’t mean that it must. Yes, common descent features can be evidence of an intelligent agent doing an act of special creation, but when the evolutionary mechanisms that seem to have brought these features about have such clear and comprehensive explanatory force, why must we import this intelligence requirement? And when a fellow brother in Christ, Francis Collins, offers a very sensitive explanation of this, you play with his semantics and default to this whole “burden of proof” thing rather than really engaging with the facts. Also, Evolutionary biology has been able to observe–in the present–mutations occur that both add to genetic information and are helpful to the organism. More here, here, and here. Irreducible Complexity: This common argument has been adequately addressed by contemporary scientific findings. Read this, this, and this. Biological Information: as far as DNA “information” goes, not only has science demonstrated how evolution could account for an increase in information in the DNA (see above), but even if they hadn’t, theistic views of the evolutionary process could easily account for such information. The ideas in your article seem to represent certain modernistic philosophical commitments and preconceptions influencing what you think is theologically necessary. Arguing for intelligent design does not represent some neutral and objective “commitment” to Scripture. Inherent in the words of your article is the Enlightenment philosophical (not theological) idea that the “scientific” and the “historical” represent “truth” most “truly”; and so, when the Bible says something is “true”, the western “Enlightened” mind most naturally thinks that it must be referring to some scientific or historical item. And so Christians fight and twist philosophy, logic, and theology to this end. But in the end, this is modernist philosophy and not a holistic and beautiful Biblically-informed view that takes things like story, poetry, and art seriously. It is a “Christian” version of secularism and materialism saying that, in the end, only “science” ultimately determines reality and truth, and so we must fight for “our version” of it. The ideas in your article, when boiled down, are simply yelling at Darwinists that their unbiblical philosophical commitments aren’t as good as your unbiblical philosophical commitments (by “unbiblical”, I don’t mean “anti-biblical”, just not “derived from the Bible”). In all of this, I’m not saying that there aren’t facts–that there aren’t real things we can know and seek. I’m just saying that none of those were dealt with this in your article. Irreducible Complexity was a compelling argument 15 years ago when Behe first wrote about it. Scientists heard the criticism, felt its force and legitimacy, and tested it. They’ve since been able to demonstrate how seemingly “irreducibly complex” mechanisms could in fact have evolved. And yet some Christians just keeping sticking to the same old tired lines of arguments that were good over a decade ago. Chris (if you even read this), I really do love you as a dear brother. I remember the ways that our campus ministries crossed paths and how much respect I always had for you. Looking over this response, I see I used a lot of “you” statements, some sarcasm, and some superlative adjectives to talk of my disagreements. Forgive me. This has become a topic of a little more importance to me than it probably should, I feel, and I can at times be somewhat graceless. In the end, though, my frustration over writings and thinking like this is because of my respect for you. I know you are a brilliant man that could do so much to bridge this divide and break the unnecessary cycles that have so entangled the Church, and your article doesn’t do that, I fear. I fear that it harms the church to make this “Darwinism vs. Design” argument such a central feature of what it means to do essentially “Christian” study at a Christian Study Center. Would you ever allow a lecture to be presented at the Richmond Center for Christian Study by someone from the BioLogos foundation (or something similar) about how Reformed thought can exist peacefully with evolutionary biology (or something of the like)? If not, what does that say about the primacy of this topic in your mind, the ecumenism you have towards your fellow brothers and sisters, and the image in whom this Center is being formed? I would encourage you to check out the book Perspectives on an Evolving Creation. It changed my perspective and is hands-down one of the most influential books I’ve ever read in my life. It’s more academic and substantive than The Language of God and answers even more of the criticisms you have expressed toward evolution. But it’s also such a testament to the beauty of the work of God in an “evolving creation”–there were even times I was crying, even when reading about fossil records of the Pre-Cambrian explosion. Seriously. And in the end, there is good news in this for us. Inviting these findings of science (in my experience) has only increased my worship in God and rest in his Gospel. Evolution speaks to a God that does not merely incarnate himself into humanity, but incarnates himself into a world that had evolved to that point in history. And so, when our Christ dies and is raised, he is not only redeeming humanity, but he is purchasing the redemption of the entire cosmos whose entire evolutionary history resides in his physical body in those moments. That is cause for worship, not doubt or some “culture war” mindset. I hope it goes well with you, Chris. I love you as my brother, I enjoy getting your emails and hearing of your events, and I pray that you are continually equipped to serve those that God has put into your tender, humble care. May the peace of God come upon us and may His grace be with us as we continue in our lives to talk of this topic to others. You did an excellent job on these two posts, Paul. Accurate information, but more graciously said than I would’ve done. I lose patience very quickly with Christians perpetuating ignorance by recirculating the same old well-refuted “arguments” amongst themselves. Once again, great job on these posts, Paul. You bring accuracy and clarity, but manage to do so very graciously, with concern for an old friend and mentor. Have you posted a link to these posts in the comments of his original post?